Brunswick, TN Ukulele Lessons Near Me | Fun Classes. Top Teachers. I teach all levels and styles: contemporary, Hawaiian, jazz, Japanese, etc. I find ukulele to often work better than guitar for many young students (typically years 10 and younger). When appropriate, the student can transition to guitar having increased hand strength and learned many of the concepts needed to excel. 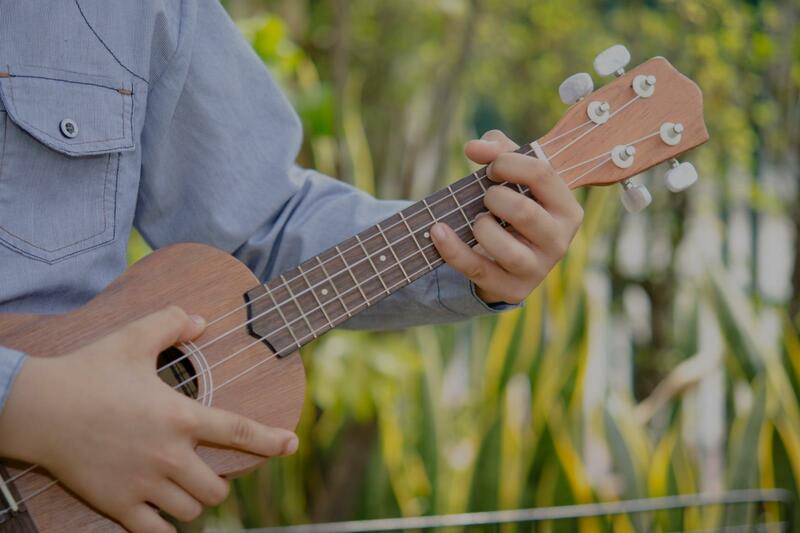 Of course, ukulele makes for a fun (and ultra-portable) instrument in its own right! I teach this very popular instrument to all ages. This instrument is easy to learn, but can advance to a highly skilled level. You will have fun and learn fast. Enjoy learning to play Ukulele. I will enjoy helping you! Chords, theory, and most importantly SONGS ! Ukulele lessons for ages 8 and up. Our Lessons are designed based on individual needs. We have early childhood classes that are designed for students who plan to transition to the guitar. As well as Adult programs. My teaching approach is relatively simple; I work to empower you to approach and play your own instrument through rhythm, moderate music theory, as well as fretboard theory and picking/plucking styles. I also like to do practical application studies, i.e., using songs you're interested in learning to apply new techniques. Most importantly, we progress at your pace and yours alone. If there's something very specific you'd like to accomplish, we can most certainly do that, or if you want to improve upon your general approach and method, that is also something I am available for. Lessons with me are casual and laid back, but productive. I focus on refining details of the student's playing while also introducing new concepts. Additionally, as a student in the music performance program at UNC-Greensboro, I can offer helpful insights into the world of music performance that will be helpful to students wishing to perform. I hold a philosophy that encourages spending time outside of lessons to improve skills. Sometimes, the best learning is that which takes place in solitude. ting students at ease and guiding them in pursuing their individual music styles. After only a short number of lesson with Joel, our shy girl is playing and singing her favorite popular songs !!" eaks it down to where it is completely understandable and willing to work at your speed. I especially like that he isn't hung up on boring songs he pushes for what the student is interested in. Makes learning so much more fun. I thought trying to learn an instrument at 27 would make me feel dumb but Joel doesnt create that kind of environment. Only good vibes. Cant say enough good things about Joel." "I think my son has accidentally rated Cole as 1 star. I would like to take that back. Cole is a very good teacher, fun and patient, with a great skill set"
it. Works to play what I'm interested and what I really want to play. I thought going to learn an instrument at 27 would be rough but it has been fun and enjoyable." "From 16-year old: Very flexible and is fun within his lessons but influences his students to want to get better, using songs the students like"
ighly recommend Joel if you have a child wanting to learn to play the guitar. His coming to our home for lessons has been wonderful!" look forward to my future lessons with Joel because he cares about my progress just as much if not more than I do and that’s all you can ask for from a teacher." The holidays are right around the corner; get in the spirit with these classic Christmas ukulele songs. From "Jingle Bells" to "Mele Kalikimaka," learn these Christmas ukulele tabs with Winston, NC teacher Willy M... Ho! Ho! Ho! While, I dont look a lot like Santa Claus (well, apart from the beard and pudgy belly), I'm bringing you a sack full of holiday cheer this month with Christmas ukulele songs! Thats right, I'm going to give you fun holiday songs that you can play on your ukulele.